Nicknamed the “Crow Castle” because of its black exterior, Matsumoto Castle is one of only 12 remaining original castles in all of Japan. Castles in Japan are deemed original if they retain a keep that was constructed before the end of the feudal era (before 1868). The building was completed around 1594 under the rule of Lord Kazumasa Ishikawa and is the oldest five-tiered, six-story castle remaining. Other castles throughout Japan, such as Osaka Castle, burned down during World War II and were rebuilt using concrete. The dark exterior is thought to be a sign of Lord Ishikawa’s respect for Hideyoshi Toyotomi, whose Osaka Castle also bore a dark exterior at the time. 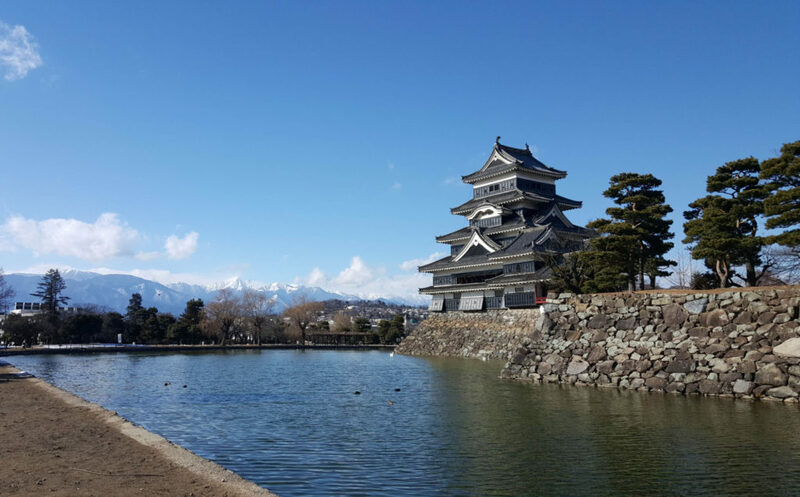 Constructed during the Sengoku or Warring States Period, Matsumoto Castle originally served as a fortress and was thus built so that it could be easily defended. You’ll notice that there are few windows but a number of small eyelets used for watching and shooting enemies. Larger openings include those built to drop stones or burning pitch onto enemies below. Although the main tower of the castle is five-tiered, a hidden sixth floor is tucked in halfway up the building. This floor served a number of purposes; it allowed the castle’s defenders to keep their supplies hidden, and the unexpected layout would throw off enemies should they manage to enter the keep. Designed to slow the movement of enemies in the event of an attack, the wooden stairs remain quite steep as no alterations have been made. Be sure to wear warm socks in the winter, because the wooden flooring is quite cold and no shoes are allowed. The outer structure that we see today, however, is the result of additions made in 1635. The end of the Sengoku Period and subsequent peace brought a drastic change to the lifestyle of that time. A moon-viewing pavilion was added for when the Shogun would stop by on his way to pray at Zenkoji Temple in Nagano City, giving you a glimpse into the lives of the castle’s elite. Visitors can still see the moon-viewing pavilion (located on the far left) during the day. A fire destroyed the Honmaru building, leaving just the current Ninomaru portion. 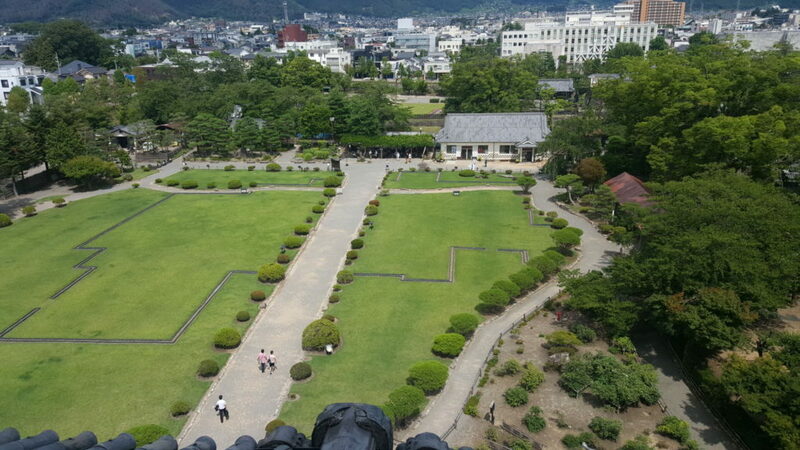 The space where the other tower stood is now the Ninomaru Garden, which is open to visitors. Although renovations have been conducted and outer gates have been rebuilt, the original keep and its inner walls as well as the outer stonework have survived. 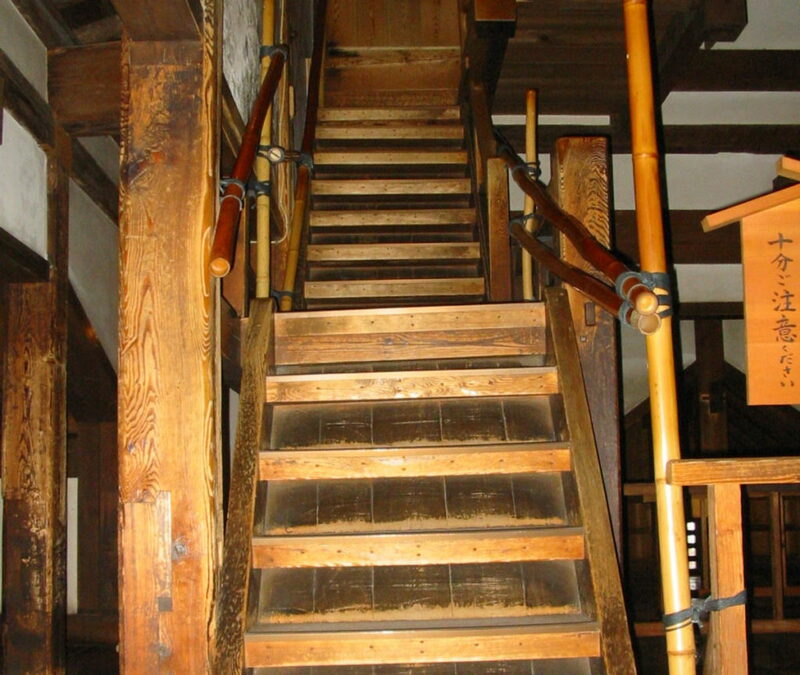 During the Meiji Restoration, other pieces of the castle were relocated or reused in other structures throughout the city. Moats were also filled in, but the major moats remain. In 1872, the site was sold at auction, and the keep was going to be demolished. Together with residents from Matsumoto, a prominent figure in the community started a campaign to save the building. The local government ended up purchasing the property and kept the structure standing. The castle’s complex were designated a National Historical Site in 1930 and the keep was designated a National Treasure in 1936. 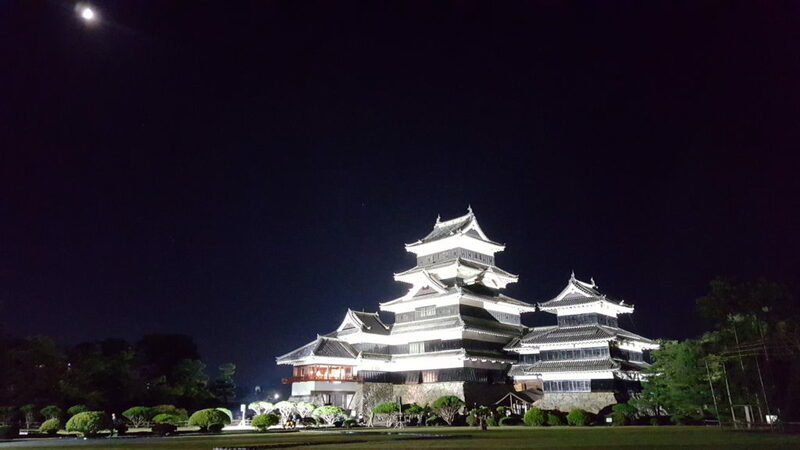 Once the administrative headquarters of the Matsumoto Domain, the castle was ruled by men under powerful samurai including Takeda Shingen, Toyotomi Hideyoshi, and Tokugawa Ieyasu. 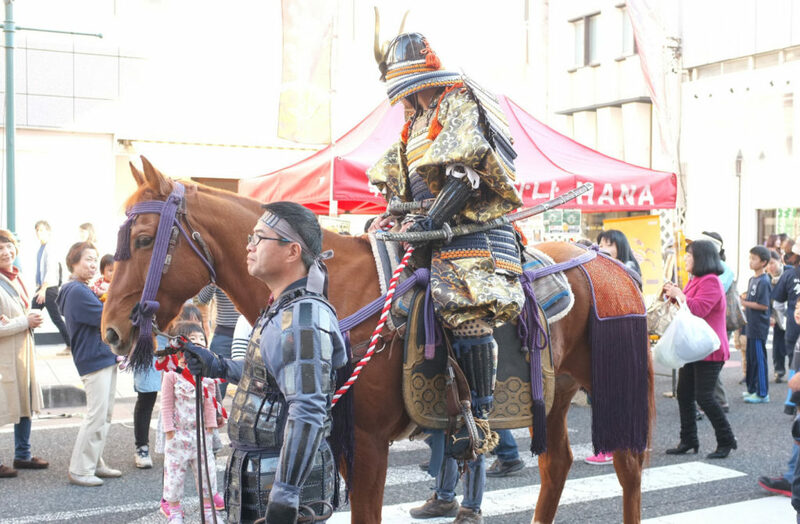 Even to this day, traces of the city’s samurai heritage remain. To the north of the castle, you will find a preserved samurai house that once belonged to the Takahashi Family. Other excavated areas around the castle revealed samurai housing, bamboo piping, and more. Even after Japan entered a time of peace, Matsumoto was a seat of political power and troops remained active in the domain. 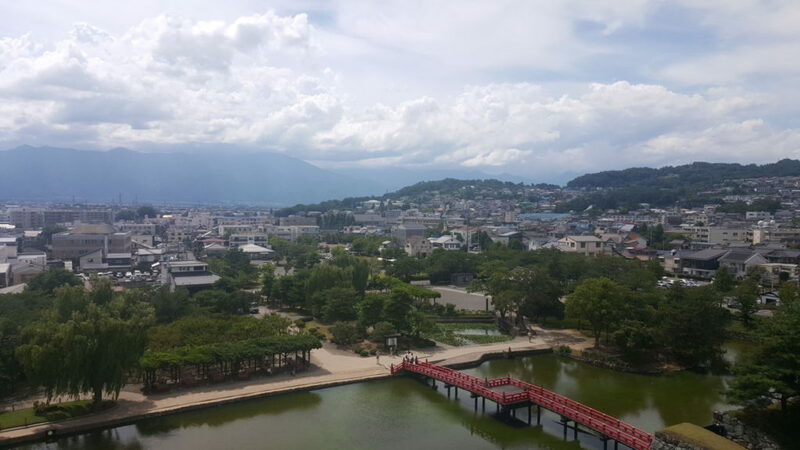 Matsumoto allied itself with the new government in 1868, the year the Edo Period ended. The reign of the last ruler, Mitsuhisa Toda, ended in 1871 when the Ninomaru Palace became the prefectural government building. 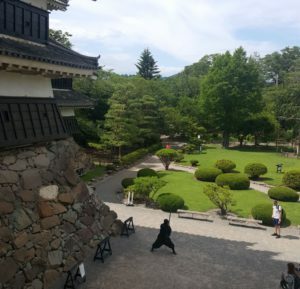 Although the era of the samurai has ended, you may still come across “samurai” on the grounds of the castle! 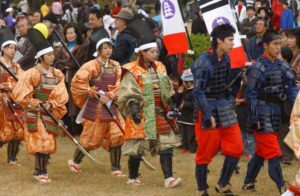 The samurai spirit lives on through events such as the Matsumoto Castle Festival and the Omotenashi-tai (Hospitality Squad). The Omotenashi-tai can usually be found on the lawn of the Honmaru Garden from 9 a.m. to 4 p.m. (subject to change depending on the weather). Picture taking is free! 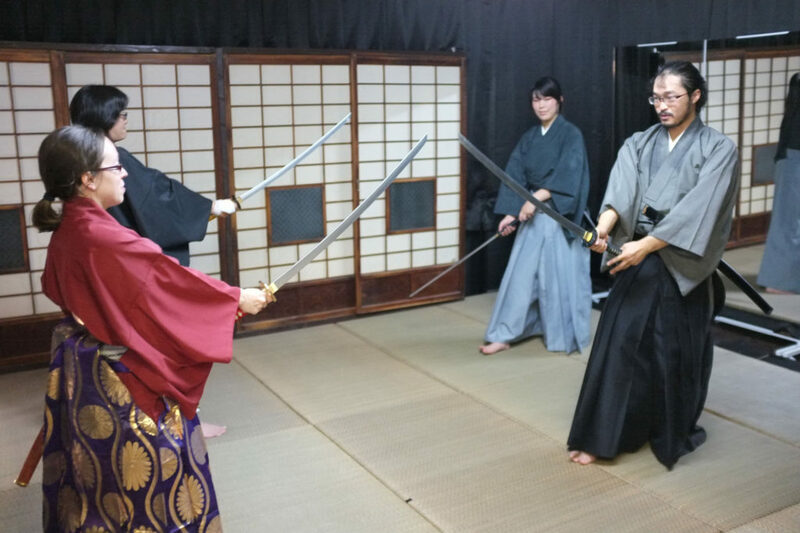 You can also dress as a samurai and learn a few moves yourself with a samurai experience. Read more in our blog article. A lesser known part of Matsumoto’s history is the ninja. The lords of Matsumoto Castle were served by ninja from the Akutagawa Family starting from around the 1600s. The Akutagawa Clan were affiliated with the Koga (Koka) style of shinobi-no-jutsu (now referred to as ninjutsu), one of the more famous styles in the ninja world. Their techniques are recounted in the Akutagawa Kaden (Akutagawa Family Traditions), a scroll that still exists today. They considered their techniques to be inherited from the gods and thus divine. 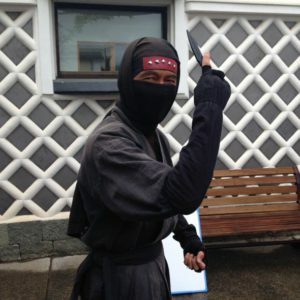 Today, you may find Matsumoto’s resident ninja on the grounds of the castle along with renactors who will gladly pose in pictures with you.